George insisted the shoulder, which kept him out of the Thunders’ regular-season finale, was fine at practice on Monday even though it was wrapped in ice. 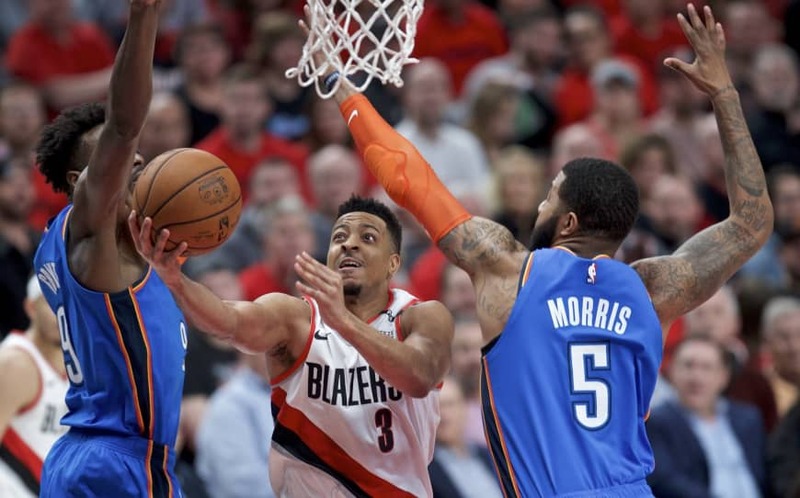 Portland’s victory in Game 1 snapped a 10-game postseason losing streak that included four-game sweeps in the past two seasons — first by the Warriors and then last year by the Pelicans. Denver was in danger of losing a second straight game at the Pepsi Center after posting the NBA’s best home record (34-7) during the regular season.